On the surface, restoration projects may appear straight forward and intuitive. But there's no substitute for skill and experience. Learn the basic techniques to repoint brick and/or stone at our half-day workshop. Repoint to maintain the historic integrity of vintage masonry structures. Work hands-on with the LimeWorks.us workshop trainers. 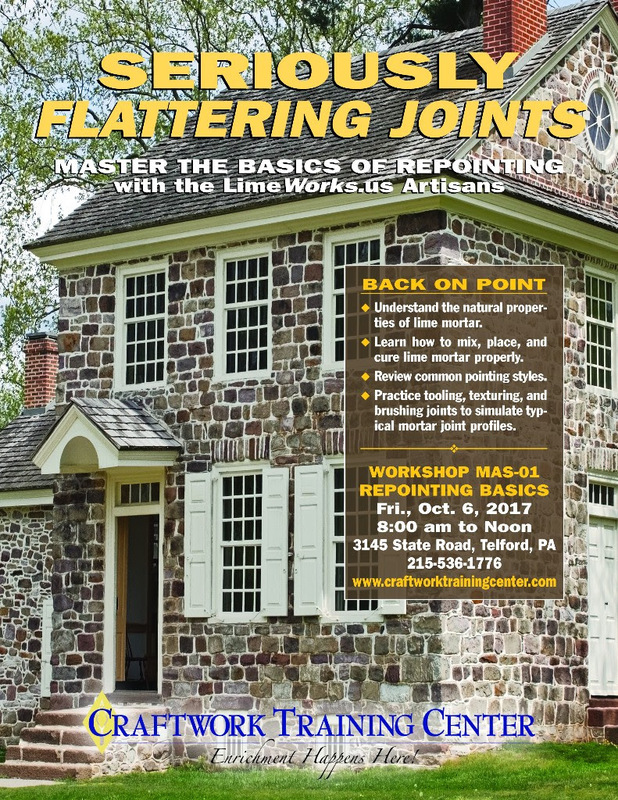 Tune-up your understanding of why and how to use lime mortar.